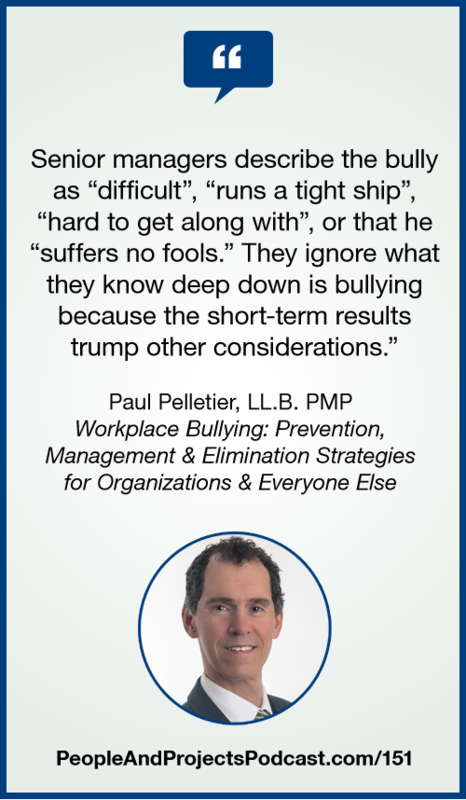 In this episode, I welcome workplace bullying expert Paul Pelletier. He's a lawyer, a PMP, and author of Workplace Bullying: It's Just Bad for Business: Prevention, Management, & Elimination Strategies for Organizations & Everyone Else. Paul shares helpful insights about what bullying is and isn't, and strategies to help you deal with the bullies on your project team. Learn more about Paul and his organization at http://www.paulpelletierconsulting.com/. L&H by Jahzzar is licensed under a Attribution-ShareAlike License.